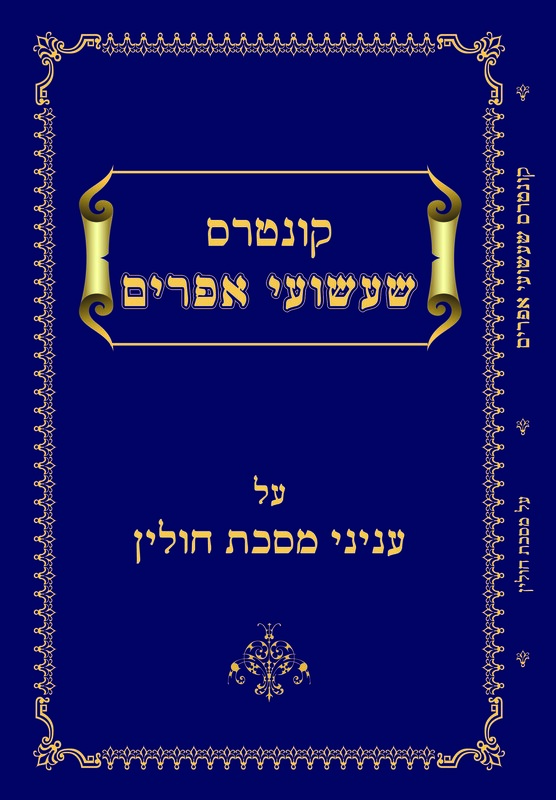 Ephraim Meth, a fourth year Wexner Semicha Honors Fellow in YU’s Rabbi Isaac Elchanan Theological Seminary (RIETS), has published a new sefer [book], Kuntres Sha’ashuei Ephraim, offering commentary on Masechet [tractate] Chullin. Meth, a student of Rabbis Michael Rosensweig, Nathan and Perel Schupf Chair in Talmud, and Herschel Schachter, Nathan and Vivian Fink Distinguished Professorial Chair in Talmud, grew up in Kew Garden Hills, Queens and graduated Yeshiva College in 2007 with a degree in psychology. During his tenure in the RIETS semicha program, Meth delivered shiurim [lectures] on daf yomi to students and posted short observations to YUTorah. 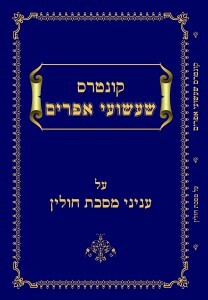 His new sefer was published to coincide with daf yomi’s beginning Masechet Chullin. The sefer inlcudes approbations from RIETS roshei yeshiva Rabbis Rosensweig and Schachter, as well as Rabbi Zevulun Charlop, Dean Emeritus of RIETS, and Rabbi Noach Isaac Oelbaum of Khal Nachlas Yitzchak in Kew Gardens Hills. Meth hopes to eventually teach advanced Talmud full-time. A preview of Kuntres Sha’ashuei Ephraim is available for download at YUTorah. To purchase a copy or for more information contact Ephraim Meth at by5766@gmail.com.